Verdict: A fun experience to share with friends. 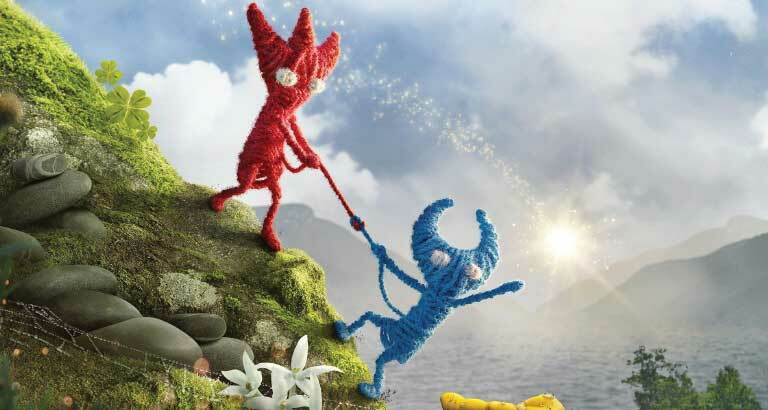 Yarny, the tiny red woollen character, returns in an innovative single player and co-op puzzle platformer. This sequel centres on the bond between two Yarnys, and can be played as a single player or local co-op drop-in/drop-out experience. Yarny’s abilities have carried over from the original. He can swing across gaps, rappel down walls, ascend cliff faces, lasso distant objects and, by tying knots, create bridges, pulleys and trampolines. There are no major new abilities to single out, but the addition of a second Yarny adds plenty of depth to these existing ones. For instance, either character can now function as a moveable anchor point, allowing the other Yarny to rappel, ascend or swing across otherwise impassable gaps. At its best, it feels like you’re mountaineering through the undergrowth. Platforming is also improved. Yarny feels more responsive, and it’s a good thing, too, since there are more sections that demand precision control. The game once again takes Yarny through verdant forests and slightly more grim urban settings. Behind Yarny, in the background of levels, an ambiguous story plays out featuring shadowy manifestations of past events. Levels are simply beautiful. Yarny’s tiny stature, and the clever use of forced perspective and photorealistic environments, makes you pay attention to the little details. Whether it’s the spongy moss Yarny has to wade through or the puddles that feel like swimming pools, every texture feels more detailed and engrossing seen from his perspective. Prowl the disease-ridden streets in Vampyr, a darkly atmospheric action RPG. Set in early 20th century Britain during a bout of the lethal Spanish flu, the streets of London are crippled by disease, violence and fear. In a completely disorganised and ghostly city, those who are either fools, desperate, or unlucky enough to walk the streets lay prey to Britain’s most elusive predators: the vampires. Onrush is an arcade-style car combat game in which players drive cars, motorcycles and off-road vehicles over multi-layered hilly terrain. The game features a boost mechanic that players can use to increase their vehicle’s speed. 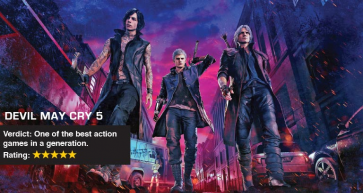 Players earn boost by performing stunts and slamming rival combatants to take them out.